Welcome to Coolattin Lives. The Coolattin Estate covered 85,000 acres in south Co. Wicklow. 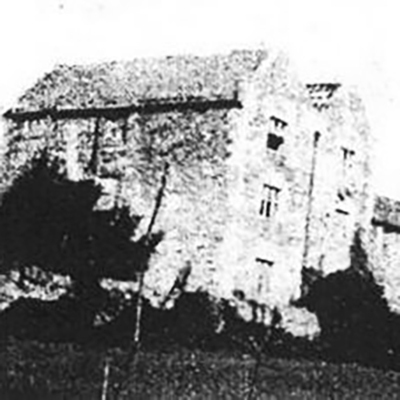 Generations of families rented farms and cottages from the Fitzwilliam family (later Wentworth-Fitzwilliam). As progressive landlords, the Fitzwilliams kept careful records of their tenants throughout the 19th century. Between 1847 and 1856 the landlord assisted hundreds of families to emigrate to Canada. 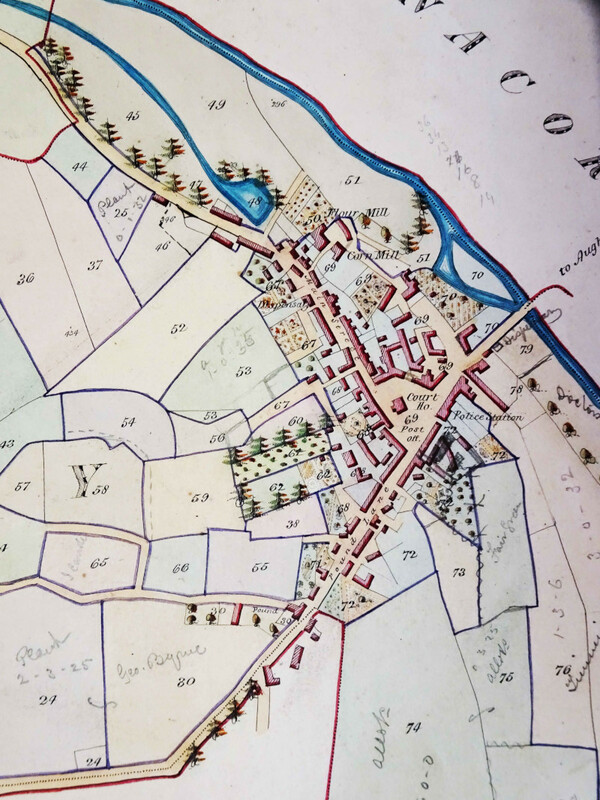 In Coolattin Lives thousands of tenant records have been transcribed, digitised and mapped allowing descendants of these tenants – in Ireland, Canada and around the world – to trace their ancestors, find the district where they lived, and make their way back to the family home place. Click here to explore a variety of records associated with tenants of the Coolattin estate. 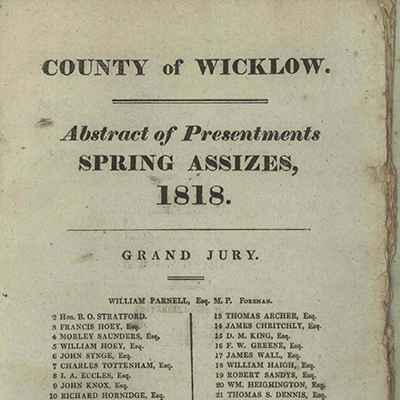 Details of the contents of the Wicklow 19th-century Grand Jury Presentments, available as a digitised collection. 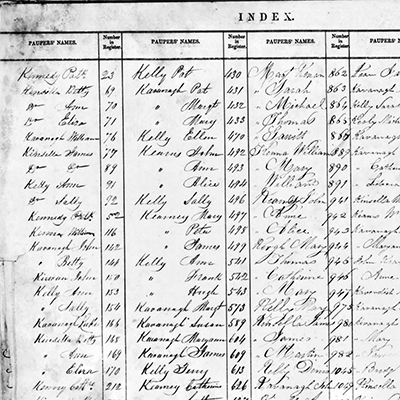 This collection of admission and discharge registers for Shillelagh Union Workhouse dates from famine times, and tells the story of the poor and destitute of the county in stark reality. A collection of poignant records, illustrating the suffering of the poor in the lists of names of those admitted to this institution.